This Essteele Per Vita 16cm/ 1.9L covered saucepan is a pleasure to cook with thanks to the solid copper that is spread across the induction suitable base, allowing heat to disperse evenly and quickly. This results in optimum heat control and perfect cooking conditions favoured by the most discerning cooks. The elegant and refined design is crafted from high quality polished stainless steel for superior durability and shine. 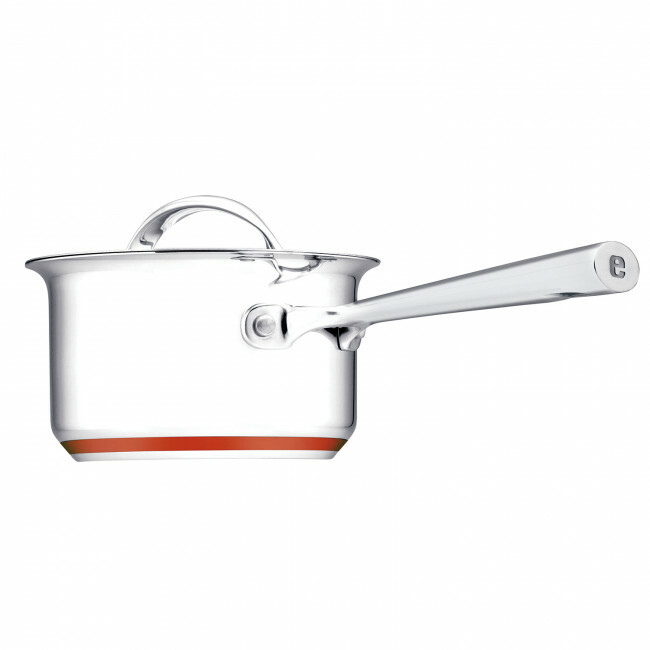 Handles and lids crafted from stainless steel ensure this 16cm/1.9L saucepan will last a lifetime. The saucepan is dishwasher safe, and oven safe to 240°C for added convenience. 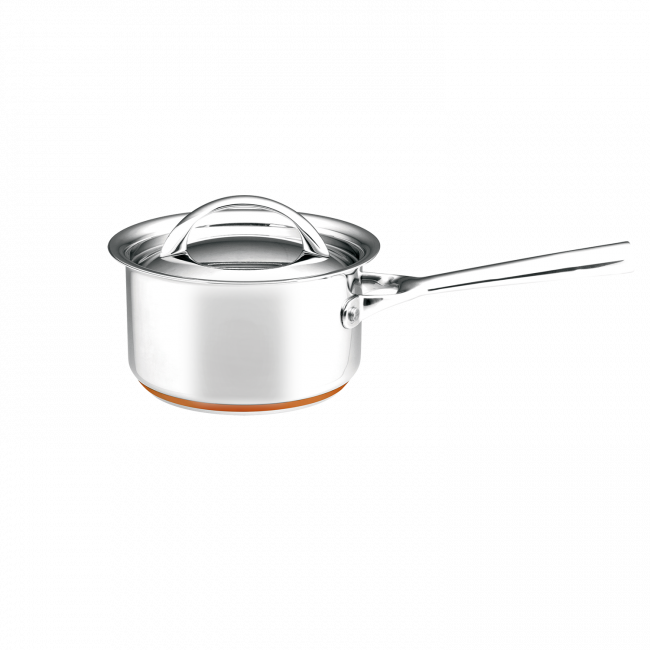 Essteele Per Vita 16cm/1.9L Saucepan is rated 4.8 out of 5 by 5. Rated 5 out of 5 by Christine from Perfect! I bought this saucepan and two others from this range and I am so glad I did! The handles feel beautifully balanced and the lids fit perfectly so they don't rattle when food come to the boil. Looking forward to a lifetime of use. Rated 5 out of 5 by leaderofthecoolgroup from Great cookware! Wow, this product is so good! Have used it every day and it still looks brand new. Will definitely buy more! I want to kit out my whole kitchen with Essteele, it's so beautiful and you can tell it's such good quality product. Rated 5 out of 5 by katjaknic from Stunning Cookware From first sight the Per Vita 2 was a beautiful addition to my kitchen cookware. Its stunning stainless steel finish, exquisitely designed form and traditional touch of copper base promised cooking joy. The Per Vita 2's contents was quick to heat and cooked to perfection. Rated 5 out of 5 by Wendy167 from Perfect Size This saucepan is the perfect size for us as a couple. It is great to use and very easy to clean. Thankyou Essteele. Rated 4 out of 5 by Steve from Elegant appearance , few functionality things I bought an essteele cookware set for a new place with induction cooktops as my old set of Allclad was only functional on gas / electric burners . Essteele is just as substantial and well designed for cooking to traditional recipes but i have two complaints . 1 Local tap water creates deposits on the internal surfaces and while these deposits are easily removed with the essteele cleaning product , i do not like to do this as often as needed to make the finishes appear unspotted ; 2 The bright finish hollow elliptical-sectioned handle , while elegant in appearance and easy to keep clean , is slippery , difficult to grasp firmly enough to give the pot / pan directional motion while cooking , and lends instability to handling the larger sizes with just one hand . A flat or even concave upper surface to the handle ( compare Allclad ) would rectify this .